The unbearable summer season is in full swing and homes everywhere are using air conditioners in full volume to combat the summer heat. The air conditioners are known to be energy hogs, so those wanting to save money yet still be comfortable during these sweltering summer months might find some relief – both from the heat and from high energy bills – by following the tips below. 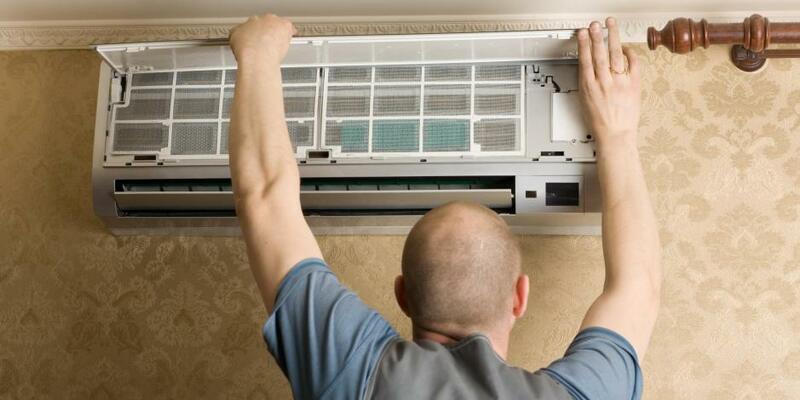 1) Maintain Your AC Unit: This one is the most important step. Clearing a clogged AC unit filter alone can save 5 to 15 % in energy use and this will help it work better and not break down. The dirty filters impart more strain on your AC unit, less effective functioning and, in turn, higher energy and maintenance costs for the unit. Experts recommend a once in a year check up by an authorized AC professional to ensure your air conditioner is clean and running properly. Again, if your air conditioner is more than ten years old, it may be time for its replacement, which could save lots of energy in a jiffy. By keeping your AC unit well-maintained, you’ll prolong the life of the unit and lower your energy costs as well. 2) Adjust The Thermostat: Most people do not bother to adjust their thermostat in hot weather. However, only a few degrees can make a huge difference. According to experts, each degree a thermostat is set above 24 degrees Celsius could save 10% to 15% in energy. Most experts agree that setting the thermostat at 26 degree Celsius during the day will keep you comfortable while keeping energy costs low. Further, during the night time you can turn the thermostat even higher, up to 27 or 28 degrees, and still sleep comfortably. This step will surely help you to keep your energy bill low during the hot summer months. 3) Cover Your Windows: Window shades and solar screens help to keep heat out of your house during the day, so that your AC unit doesn’t have to work at maximum capacity to cool your home. Although solar screens can be expensive, they will help in lowering energy bills as you will find yourself using the AC less often. 4) Planting Trees: Trees and small shrubs planted around your houses not only block the sunlight from entering the house, but also can absorb the heat and help provide cool from their transpiration, or water loss from leaves. They also absorb much less sunlight and heat than other built surfaces such as walls and roof. Further, they help to protect the AC unit from the sun so that it has to work less hard to keep itself cool during hot summer days. 5) Use AC efficiently: Don’t put the AC on in rooms you’re not using or when you’re outside the house. Though this tip sounds very simple, many people forget to turn off their AC when not in use. Thus staying cool during hot summer days don’t have to drain your bank account. By following the tips above, you can enjoy a comfortable summer as well as have a comfortable budget.